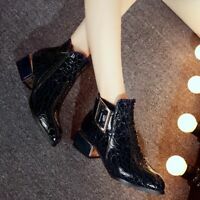 Material: Synthetic Boot Shaft Height: 10.5 cm/4.13 inch. Occasion: Casual Calf Circumference: 26 cm /10.24 inch. Sole: Rubber Exact Heel Height: 10.5 cm/4.13 inch.